Trump fired Sessions, in a moved widely reviled as a power grab for control of the Russia probe. The Mueller Protection Rapid Response has been activated. Naturally, the Boston one is planned for Boston Common, across Beacon St. from the State House. None listed for Somerville or Cambridge so far. We don't have a tag for protests? Or non-local politics? Ron Newman of Somerville, who attended the rally, said the order reminded him of how the MS St. Louis, a ship carrying more than 900 Jewish refugees from Germany, was turned away by countries including the United States in 1939. Many of the refugees later died in concentration camps. Wish I had known about this rally. Is there a super secret mailing list or something? Woken by fire trucks at 2:30 in the morning. It's a three alarm fire on Appleton St. off Willow. Contained to the one house, plus a live wire down. From what I could glean from the scanner, everyone seems to have gotten out of the house, but some people were taken to the hospital. Now (3:15am) at the one-hour mark, it's still an active fire, but fire command on site has declined help from an additional company, and are saying "condition the same, companies making progress." At 3:20am calling for a "20-foot collapse zone around the building. Slate shingles coming off the room, eminent [immanent?] danger of the chimney collapsing." From my house I can see that Willow is shut down, and the bike path, so expect a similar 4 block radius. Patch.com article linked here: Somerville Meeting to Address Proposed Davis Square Medical Marijuana Dispensary is reporting there is a neighborhood meeting this coming Monday to discuss proposed dispensary at 245 Elm St, currently housing Family Dollar. Anyone know where the permit application can be located, or any official meeting notice? [EDIT: see meeting notice below] Proposed operator is Garden Remedies which just opened their first location in Newton just a week ago, on Nov 15. With Question 4 passing, it's important to note the transition process & timeline for retail dispensaries. As I understand it, the ballot initiative states that retail licenses will be issued by the new Cannabis Control Commission by Jan 1, 2018, with existing medical dispensaries being given preference for retail licenses. If this deadline is missed and there is no framework in place to issue licenses by that date, then all medical dispensaries are automatically allowed to sell to the public. EDIT 11/24: The meeting is now on the official Somerville calendar, linked here: Community Meeting: Medical Marijuana Dispensary. 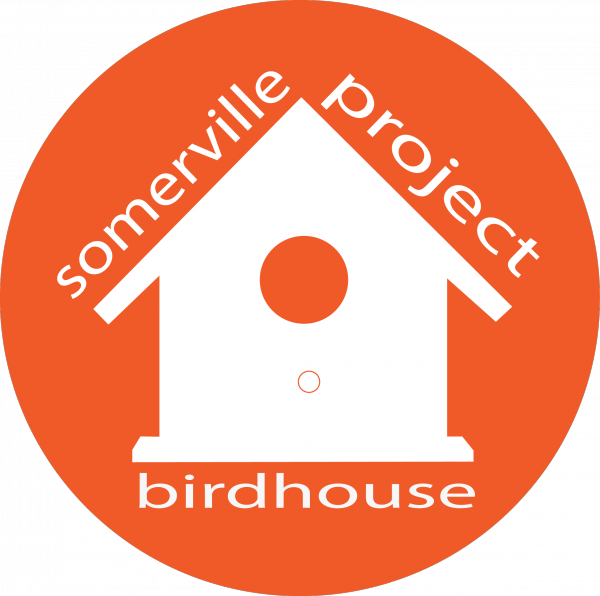 The meeting is Monday, Nov 28th 2016, 6:00 PM at Community Baptist Church on 31 College Ave.
Somerville Birdhouse Project this weekend April 16th at 10AM! We expect this year to be the biggest birdhouse day ever! We're really excited for you to join in! Saturday 4/16 - 10am - Davis Square community bike path. Birdhouse hanging -- expert ladder users will place prepped birdhouses in trees. If you need to drop your birdhouse off ahead of time because you can't make it Saturday, please message me and we'll make a plan for your birdhouse! The Mark Wahlburg movie "Patriots' Day", about the 2013 Boston Marathon bombings, will have scenes filmed in the Teele Square neighborhood starting this Wednesday and continuing through the long weekend. This leaflet, which was posted to reddit's Somerville forum, details traffic and parking restrictions related to the filming from April 13-18. An urban grocer, Fresh Formats LLC, has filed building permit applications to open a fresh foods market at 240 Elm St. in Davis Square, the site of the former Social Security Building. Ongoing renovation of the building is underway and it is expected that the 11,000-square-foot ground floor will be a neighborhood market later this year. The building, which is currently vacant, also includes 20,000 sf of office space on the two upper floors that will be occupied by Davis Square Architects, a long-time tenant prior to the renovation, and others. An additional 2,400 sf of office space in the basement will be leased separately. Fresh Formats LLC is an Ahold company. They developed the bfresh® concept which debuted in Allston, Mass. September 2015. bfresh emphasizes fresh foods including organic produce along with natural and bulk foods and conventional groceries. The site plans received by the City also include an onsite bakery and a “Little Kitchen™” offering prepared foods made from scratch. I just came home from McKinnon's. I spoke with the guy in the Deli counter. They will be sadly closing somewhere early next year. Jan 2 earliest, but maybe into Feb or March. The owner is 75 years old, no energy to restart. They're not selling it, and the rent is too expensive for someone else to pick it up. edit, Dec 3: There's apparently a sign in the store's window saying they are not closing. There's another post in this davis square community discussing that. from Boston Restaurant Talk: "McKinnon's Meat Market in Davis Square is filing for Chapter 11 bankruptcy protection, though no other information has been given at this point in time. " Just saw the boarded up window at Pepe Boca this afternoon. Does anyone know what happened? I've read the proposal, and while there are some good design ideas that will open up, expand, and enhance the public outdoor spaces in the site, the building use will be focused on housing and commercial space, with only token concessions to SomerVision's priorities of arts and community oriented space. It's a far cry from the most exciting of the proposals, like the possible new home for Artisan's Asylum (I really hope they have other options they're considering and that this wasn't their only shot at staying in Somerville!). But here's my big question: why is the city accepting a bid of only $2.7 million for a property that is valued at $7 million (and post-development will be potentially valued at more than $20 mil)? Additionally, of the 40 housing units 7 will be designated affordable (a better proportion than at Assembly), and 12 units will be designed for aging-in-place, though I note that the degree of overlap of the affordable and senior housing is not stated. Has anyone heard what the plan is in this regard? That said, I'm glad the city is moving forward, as the most important thing is to get our vacant spaces into development before they become a public safety hazard, like certain Social Security buildings we all know. The Green Line Extension Project (GLX) wanted to inform you of emergency overnight work scheduled for tonight and continuing possibly through the weekend. GLX Construction activities at the School Street Bridge in Somerville interrupted power yesterday, June 24. Though power was restored yesterday, it is Eversource's intent to work around the clock from 5PM this evening until the power lines are repaired. This work will be done in conjunction with the School Street Bridge work & lane closure which began in April 2015 and should not require a full road closure. Thank you in advance for your cooperation and understanding. This work is an important step in bringing the Green Line from Cambridge to Medford and Somerville. Should you have any questions please feel free to contact the Green Line Extension at 855-GLX-INFO (459-4636) or info@glxinfo.com. Chester Street and Diva are now open. Dunkin Donuts is not. All of Chester Street is now open, except for the sidewalk under the scaffolding. Diva has reopened. I have my doubts whether the Dunkin Donuts will ever reopen. Jersey barriers are being put up around 240 Elm and pedestrians are already being allowed to walk on the other side of Elm. Of the businesses across a street from the building, only Diva and maybe Redbones are still closed. I just got a 311 call saying Elm reopens at 9pm and Chester might reopen tomorrow. I just noticed in the Boston Globe article about the structural issues of the Social Security building this morning that it states that Roche Brothers has pulled out of moving into that space. That's the first I've heard about it falling through, and I'll be disappointed if it's true. Updated on the city's Facebook page. tl;dr: Avoid Davis Square at all costs if you are on wheels. If you are a pedestrian, things might not be much better. This sounds like an absolute nightmare. • Highland Ave. between College Ave. and Grove St. will become a two-way street. • Vehicles traveling east on Holland St. may take a right onto Dover St., or continue onto Highland Ave.
• Vehicles traveling west on Highland Ave. may continue onto Holland St., or right onto College Ave. Cars will not be permitted to turn left onto Dover St.
• Vehicles traveling into Davis Sq. on College Ave. may only turn right onto Holland St. Cars will not be permitted to travel straight onto Dover St. nor take a left turn onto Highland Ave.
Somerville Police will be stationed in this area to assist with detours, and message boards will be placed in Teele Sq. and at the Powder House Rotary. If at all possible, please seek alternate routes, particularly during morning and evening rush hour commutes: Updates will be provided as they are available. 311 call, complete elm st closure Right Now?? I just got a 311 call saying that Elm St is closed from Chester to Grove right now due to reconstruction of the facade of (presumably the building above Dunkin Donuts), including all pedestrian traffic which I guess includes any businesses unlucky enough to be located on that stretch of Elm. And that they would provide updates as needed on when the road was reopened. It said it was due to the construction, but given the zero warning about it I assume that something unplanned happened? Or did these businesses have warning that there was going to be a complete lack of access "until further notice?" ja9rose.livejournal.com - Somerville Birdhouse Project this weekend April 16th at 10AM! wobblymusic.livejournal.com - Family Dollar Closing? pch1.livejournal.com - Fire at Pepe Boca? ron_newman - Chester Street and Diva are now open. Dunkin Donuts is not. pekmez.livejournal.com - 311 call, complete elm st closure Right Now? ?